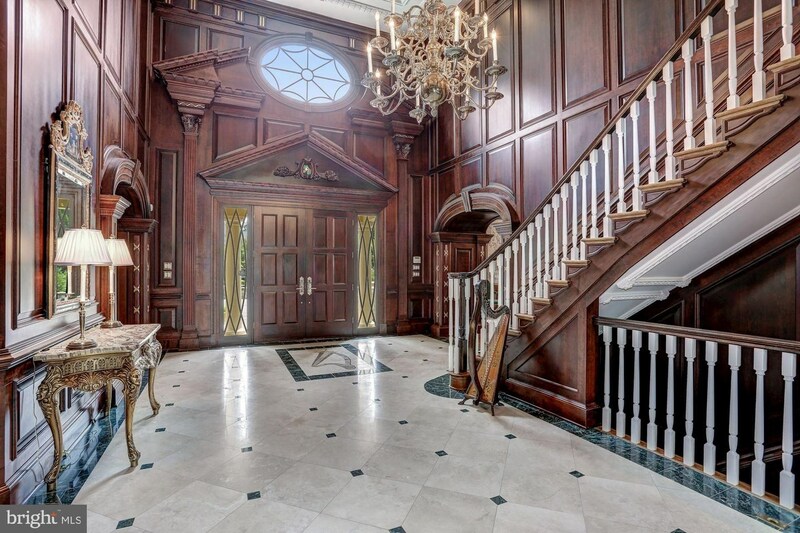 Everything about this house says luxury. 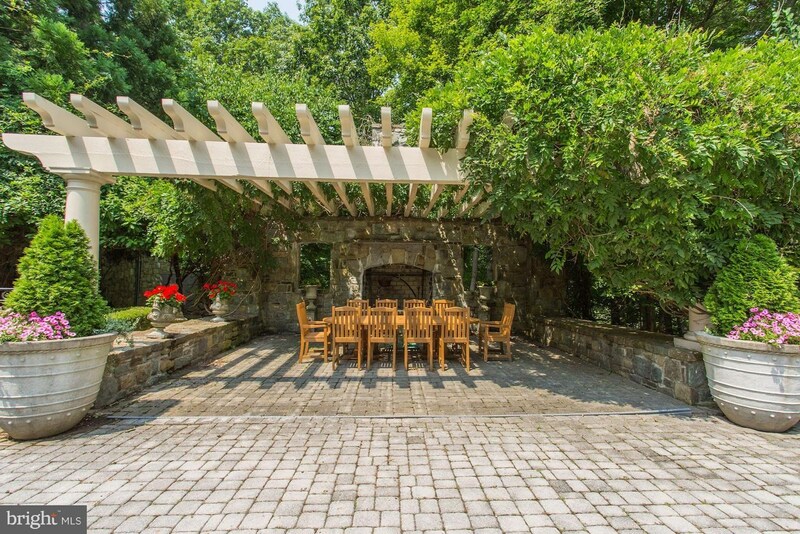 From the sweeping driveway to the charming stone fireplaces, this week's dream home is all about the good life. Can you even imagine coming home to this view every day? 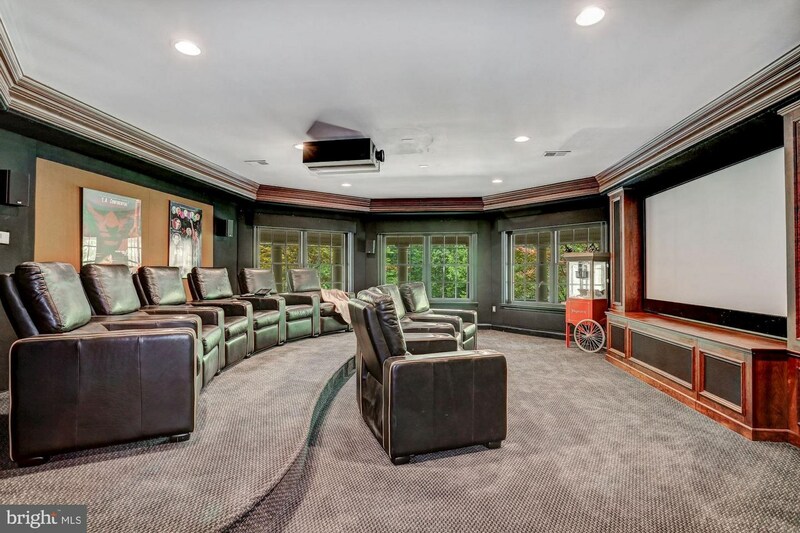 The recessed four-car garage gives you plenty of room to stow your family vehicles without ruining the elegant façade when you're entertaining. The valets will have plenty of room to maneuver on your endless driveway. 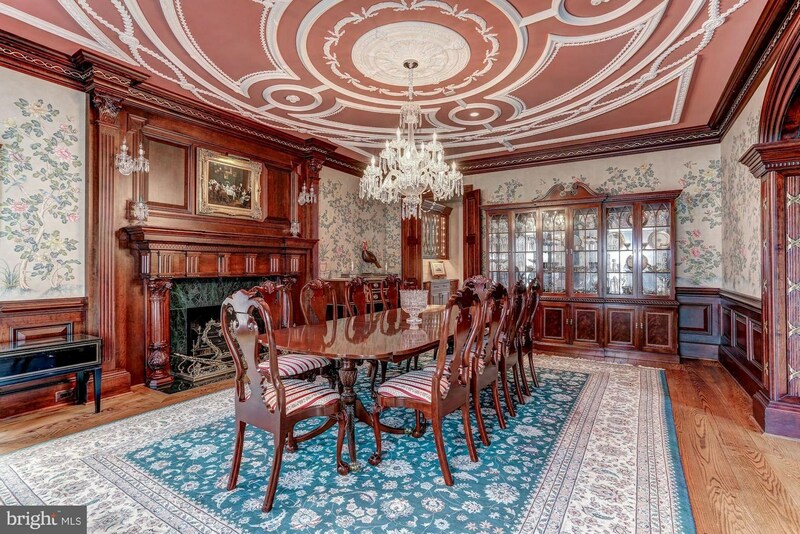 Enter the house through an expansive foyer -- there's even room for a harpist to welcome your guests with soothing music by the light of the antique chandelier. 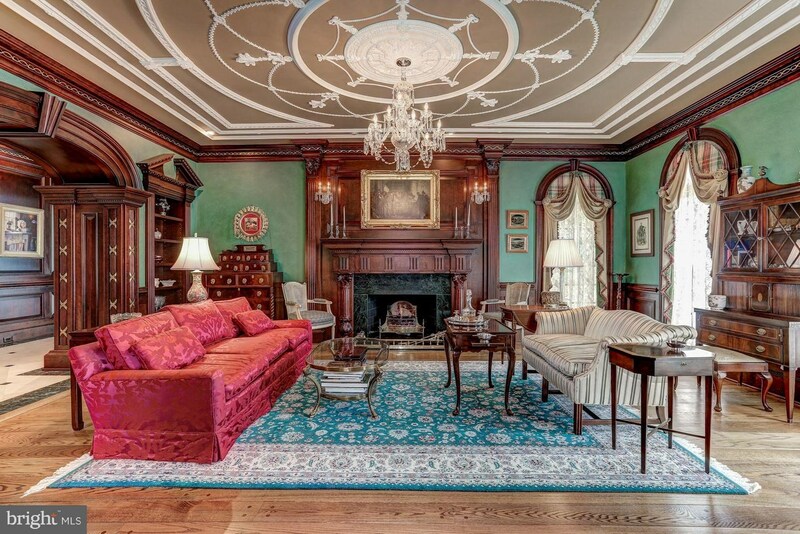 Everywhere you look, the custom woodwork, high ceilings, and intricate crown moulding give depth to every room. You have several receiving rooms, from formal to casual, throughout the main floor. Upstairs, each bedroom suite comes with its own spa-like bathroom. 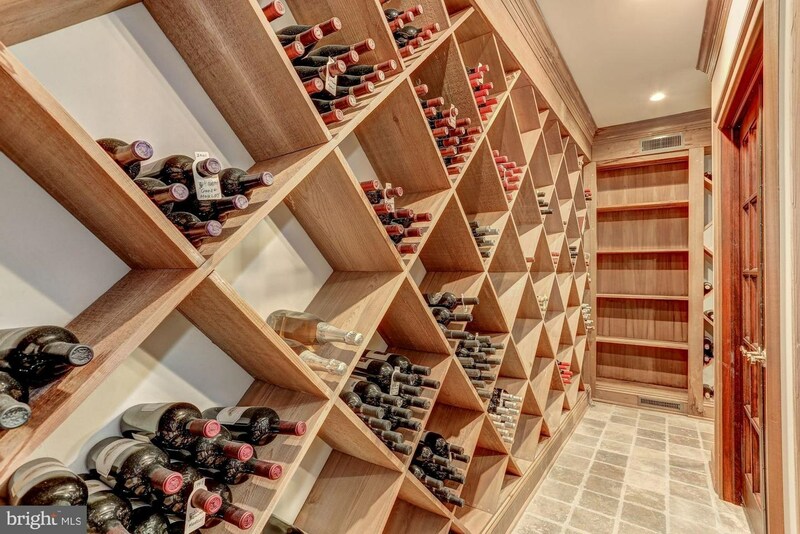 The enormous closet in the master suite is full of custom-built armoires and shelving. When it's time for dinner, head down to the gourmet kitchen to see what's cooking. 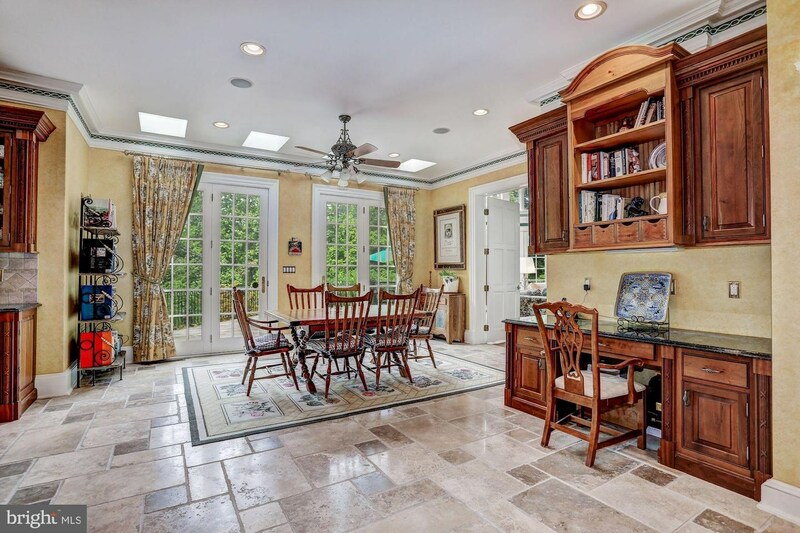 You can take your meals in the adjacent breakfast nook or have it set out in the formal dining room. Forgot the wine? 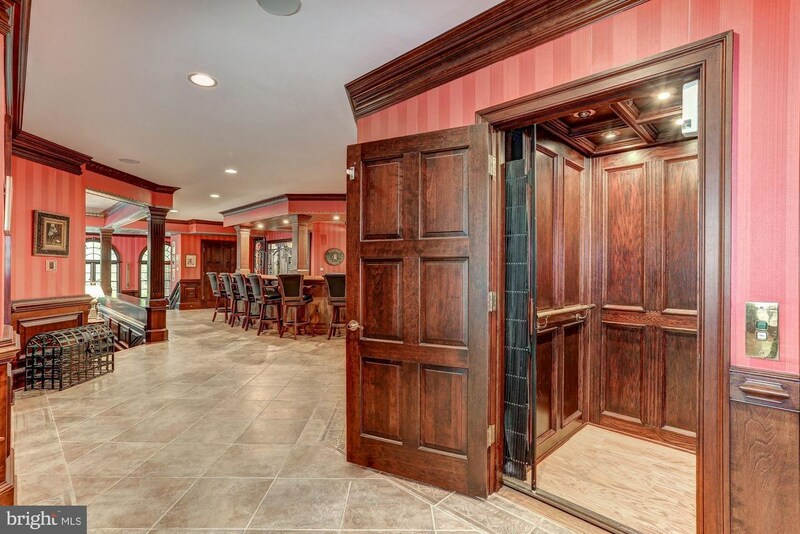 No problem -- take your elevator (yes, elevator) down to the climate-controlled wine cellar and grab your favorite bottle. 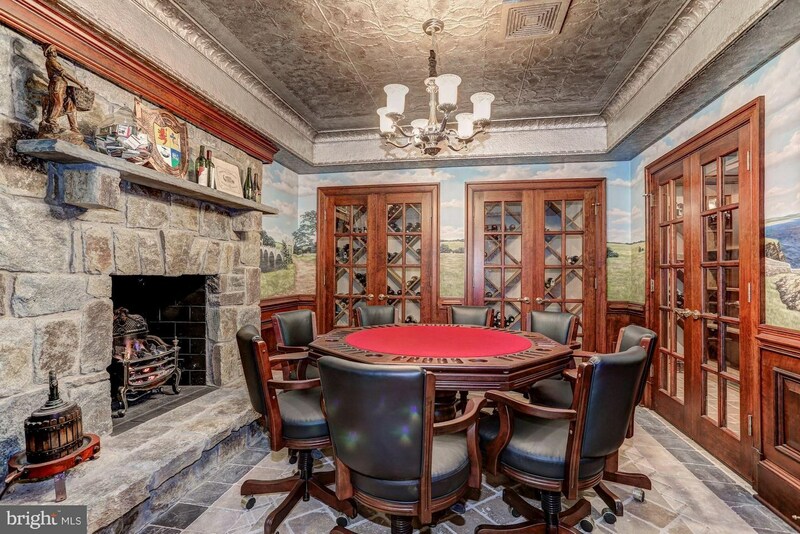 After dinner, you can head down to the basement for a game of cards in your man cave, a movie in your home theater, or a game of pool in the billiards room. Stock the bar so you don't have to leave the house for cocktail hour. There's even a guest suite for people who need to crash. Last but not least, you can spend your weekends by the pool, stopping only to take a meal under the vine-draped pergola. Bliss! 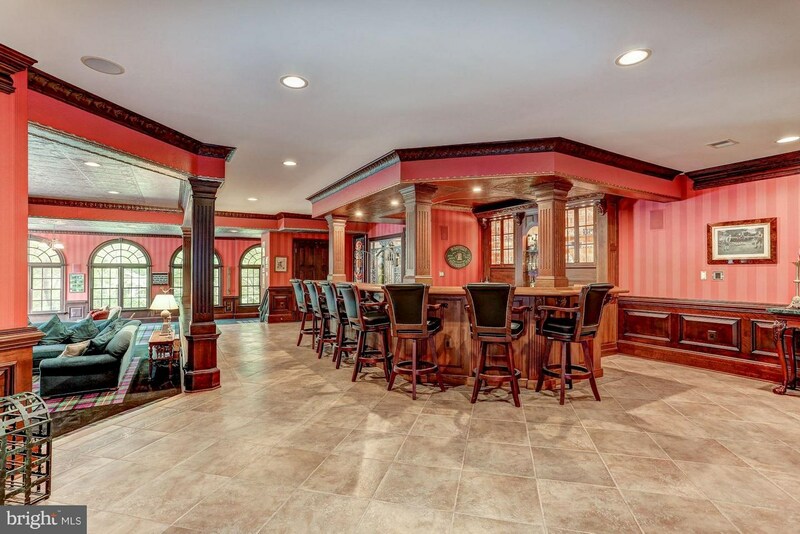 This property is located at 7984 Georgetown Pike in McLean, Virginia. 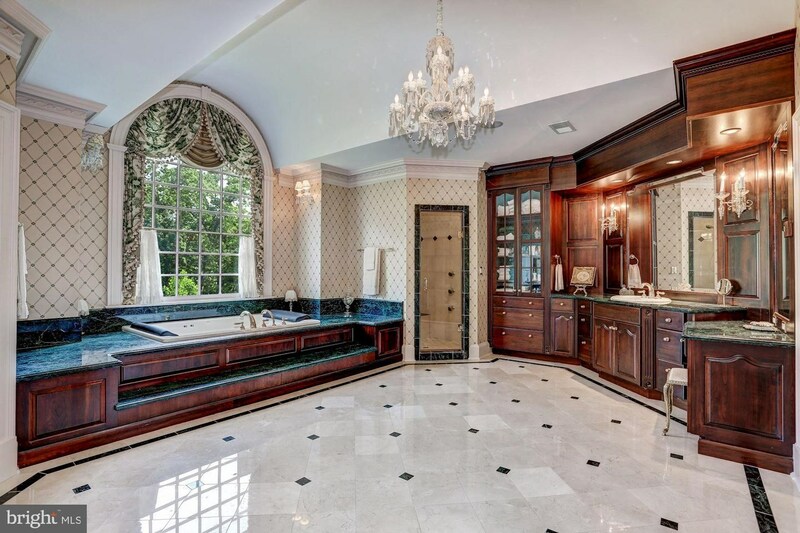 It has seven bedrooms, eight bathrooms, and two powder rooms. It sits on five acres and is currently listed at $6,800,000 by Long and Foster Real Estate. 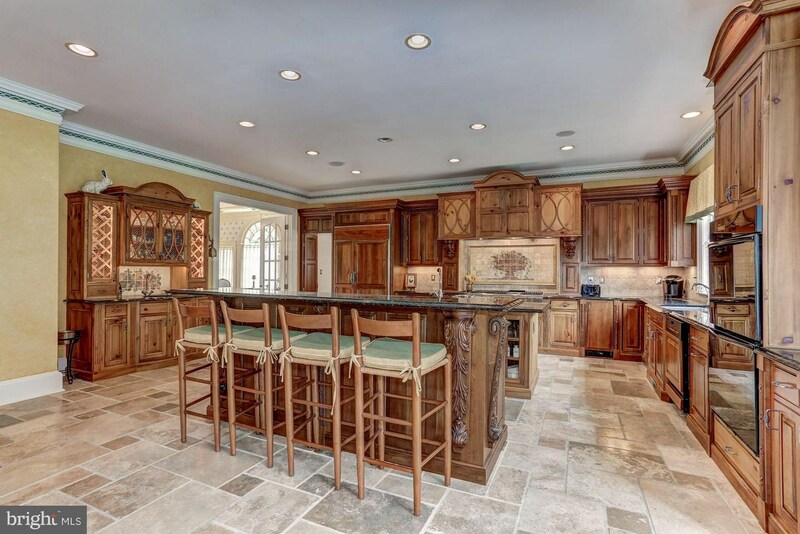 For more information or to schedule a walkthrough, visit the original listing. 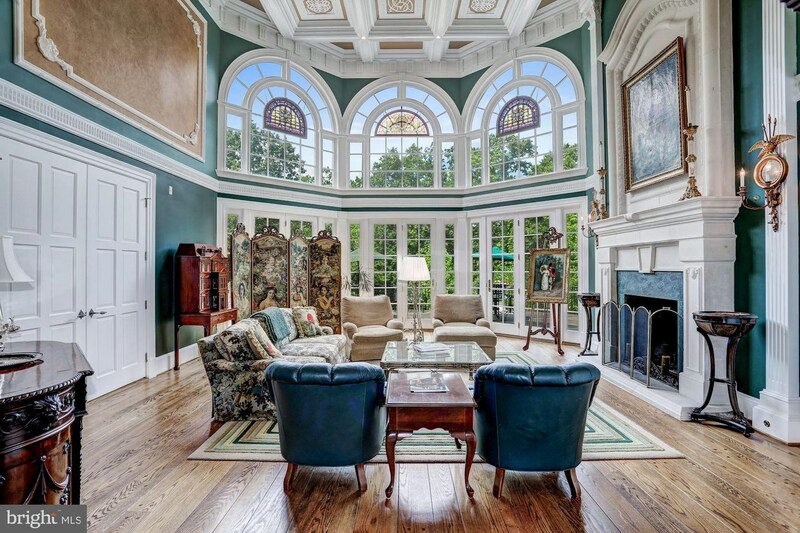 *All photos in this article are courtesy of Long and Foster Real Estate. 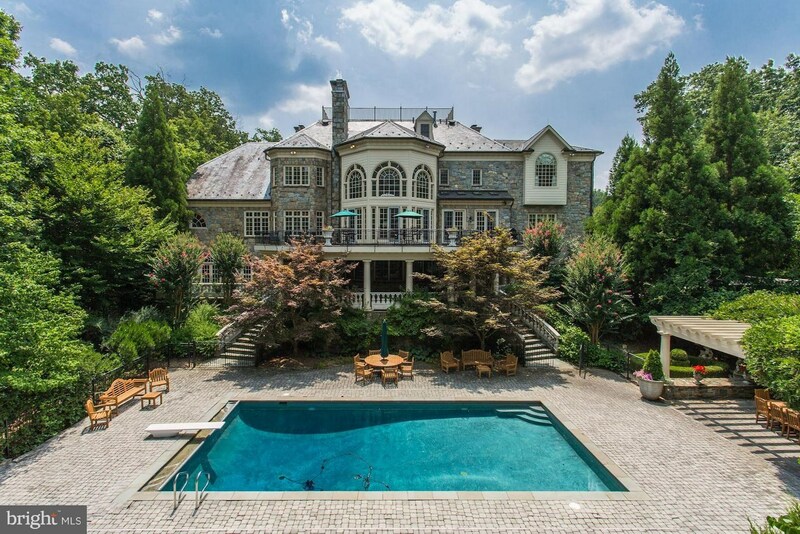 What is your favorite feature of this McLean mansion? Let us know in the comments below!